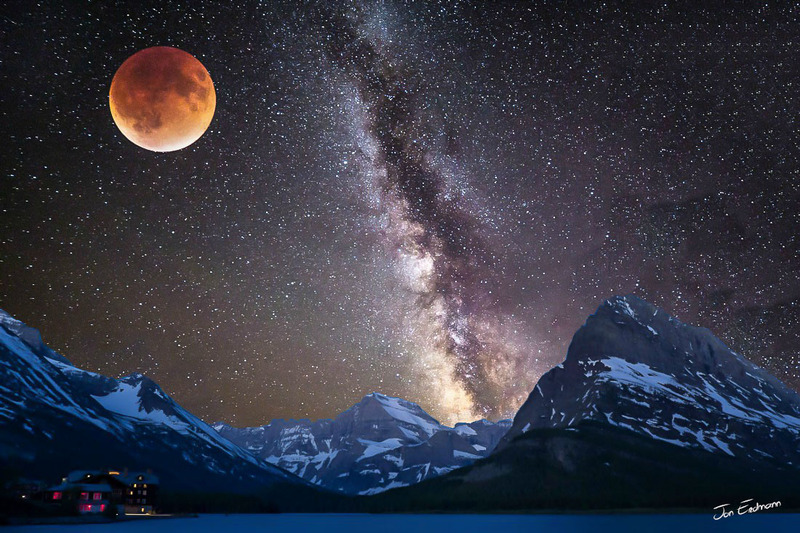 Moon over Many Glaciers, is a composite image of the beauty of Glacier National Park taken at night. Wow. That's gorgeous. Well done.